I’ve been writing quite a bit about the highs, lows, and lessons learned in building my new online business division. One of my very first challenges has been selecting my niche market focus. Guess what I’ve realized?! The same marketing principles in the face-to-face business world hold true in the online world! I’ll explain…but first let me take you back a bit to the most unforgettable marketing lesson of my life. A number of years ago, when I was an exec in the corporate world, I was responsible for product development and marketing women’s bras. (Yes, I know, a rather unusual industry). Well, at that time I was a newbie marketer and I needed to find a way to get our products sold into department stores. (Remember those big buildings we drove to, where we tried stuff on, paid for it with cash or credit cards, and then took the stuff home?) There was intense competition to get bra buyers to buy new styles. They were trying to select out vs. add in – unless you gave them a darn good reason to buy. So how to get our small brand bought and sold into a sea of bras? Well at the time, sports bras were just starting to get talked about. And in the early 80’s, tennis was a very hot sport for women. This was the era of Billy Jean King, Chris Evert, and Evonne Goolagong. Now, at that time, I didn’t play tennis or know much about it. But I knew sports bras were only going to get bigger and more important in the bra world. And we didn’t have a unique product or brand direction in our entire line. So I did a little research and found out that from a numbers standpoint, women tennis fans and players were a meaningful market- maybe not compared to the entire bra market, but appreciable nonetheless. More importantly, women who were into sports had a big need, and they were a very eager, enthusiastic market. Women tennis players were buying millions of dollars of tennis clothes and other accessories each year. Intuitively, I knew we were perfectly positioned to get noticed and capture our slice of the sport bra market – if we acted fast and smart. I knew we could carve out a healthy niche market. Ultimately, we got Evonne Goolagang, winner of 14 Grand Slam tennis titles, to be our spokesperson for The Tennis Bra. Our sales took off and we became known as a major player in the Sports Bra market. Ok, that’s nice for the tangible product world. But what about the online marketing world? Is niche marketing as necessary? The online business world is filled with vast opportunity – almost endless in fact. That’s the good news. The flip side of the coin is that it’s over-packed with products, services, and content. In such a noisy world, the only way to gain traction is by FOCUSING. You’ve got to focus on a niche, your slice of the market, to get noticed, attract an audience, and resonate with that audience if you want your business to succeed. 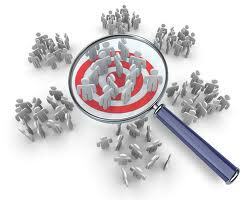 Many people believe that a niche is an industry or a demographic. Those factors contribute to a niche but my experience has shown that the more FOCUSED the niche, the more successful you can become. Why? Because even a tiny niche is powerful IF the need and desire for products or services is high. My friend Marcia is in the business valuations arena (she helps companies determine how much they are really worth if they want to be sold). Her clients are primarily attorneys who handle trust and estates matters. Her niche is NOT all lawyers – just trust and estates lawyers. My colleague Kathleen has an embroidery business. She has an unbelievable niche that emanated out of her love of Cowboy and Rodeo related things. Her niche: women who love cowboy-related things: boots, hats, rodeos , etc. Her facebook page, Cowgirl Heart and Soul has over 15000 followers! My friend Catherine has a love of luxury and travel so she’s turning her passion into a business and targeting the luxury traveler. Whether or not to niche your business is not the question… The real question is How To Select The Right Niche?. 1. You’ve got to find the niche interesting and appealing. If you don’t, you wont continue doing the work to cultivate and nurture this niche. David Geffen, music and entertainment mogul, was crazy about folk music back in the 70’s. Impassioned about this music niche, he helped folk megastars like Jackson Browne, Linda Ronstadt, and The Eagles get their start in the LA club scene. The rest is history. 2. You’ve got to KNOW YOUR NICHE inside and out – who they are, what makes them tick, what their problems are, what keeps them up at night, what they are hungry for, and how they purchase. That takes some research – but so does any business initiative if it’s to become successful. When your niche knows you understand their world and their issues and their buzz words, they immediately are drawn to you over others who are not as familiar with their world. I didn’t know a thing about the public accounting profession when I started working with those clients. I learned quickly about their needs, their challenges, their busy season, their firm structures, and what kept them up at night (usually their clients). Then I was able to attract more clients in that arena because they knew I understood their business and challenges. 3. You’ve got to learn where your niche can be reached and communicate with them in their language, speaking directly to their needs and wants. Where are they congregating – online and in person. Where do they search, what articles do they read? It’s a pretty simple formula. But most business people get lazy – or more commonly – fearful. They believe if they narrow their market they’ll reduce the business opportunity. Not! Your potential will only increase when you zero in on a target market plus it will make your marketing efforts SO much easier. 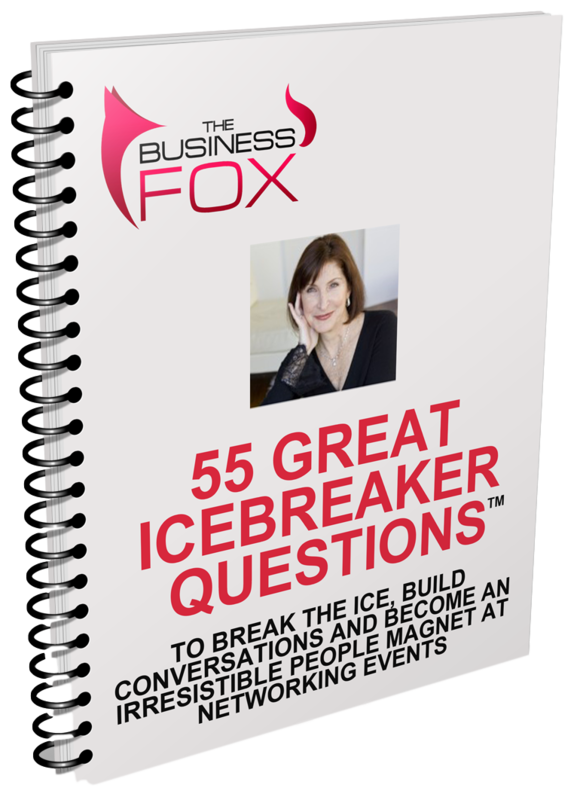 You won’t have to be everywhere to get noticed – just where your ideal niche is. I know – it is a bit counter-intuitive but the more focused your niche, the more you will get noticed and loved by your audience. So start capturing your slice of success pie. A Super Simple Niche Selector Cheat Sheet! Oh, and if you have a great niche story or a question, I would love for you to share in the comment box below!